»Religion»Corollary 1: Why Doesn’t God Heal Amputees? Corollary 1. Why Doesn’t God Heal Amputees? or Why Doesn’t God Do Miracles? So what if there are no miracles? The apparent lack of miracles is not a counter argument to the existence of God. If we follow from the primary argument, that an atheist cannot make an assumption as to the character or nature of God, then it follows that the existence of God is not determined by whether God chooses to act supernaturally or not. If God is not concerned about human life, and is allowing natural selection to be part of the evolutionary process, then healing the sick only allows the weak to continue and undermines the health of the human race. Better to let the weak die off so as to preserve the fittest among men and women. Again, the idea that God is a loving God who works among men to heal and make whole is the product of a Judeo-Christian worldview, but the atheist has no right to assume these values in making a case for the existence or non-existence of God or of a god. The atheist must consider the possibility that God is not involved in the day to day affairs of such small and insignificant creatures on this dust ball planet. And therefore, if God is such as this, there is no reason to assume he would be doing miracles on this earth, and if not, the lack of miracles says nothing about the existence of God. God can exist and not do miracles because he has no desire to do miracles. The lack of miracles is not a positive evidence against the existence of God. It is an argument from silence and uses the unspoken assumption that God must be such and such as the Christians describe. The primary evidence for miracles is perhaps life itself, whether evolutionary or not. 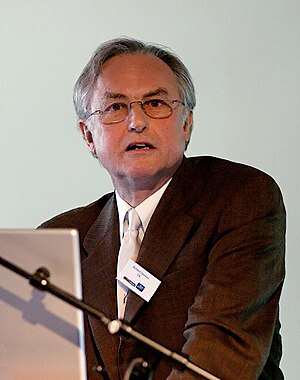 The improbability of spontaneous creation of life has led even noted atheists such as Richard Dawkins posit that life was created on earth by an alien civilization. The problem with this theory, in terms of logic, is that it is only begging the question. If life was not possible through natural processes here, how could it arise elsewhere in the universe spontaneously?